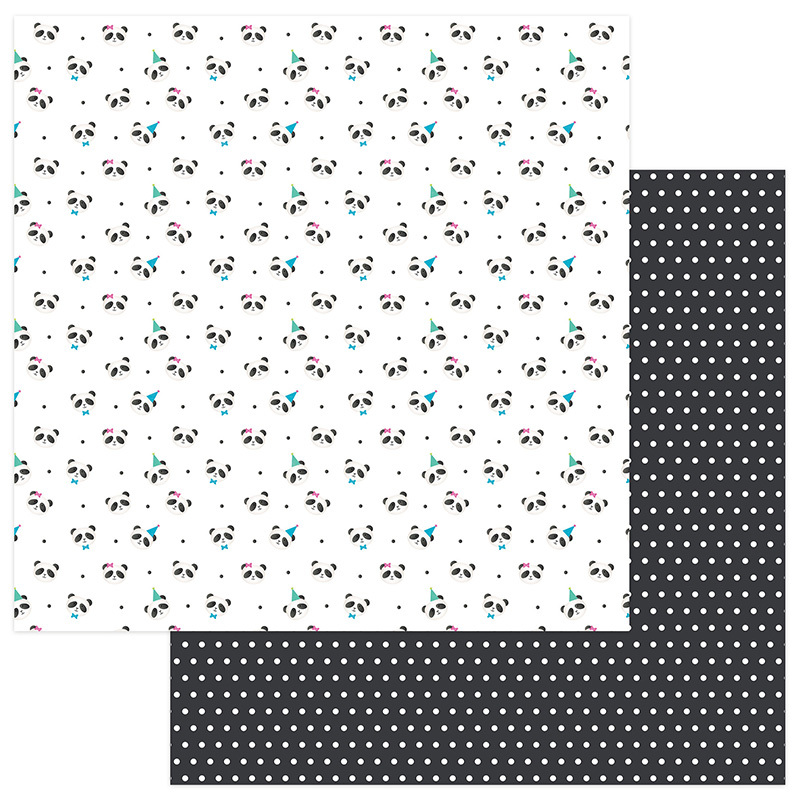 This 12x12 double sided Designer Paper has little Panda Faces with a Birthday Hat on the front side while the reverse side has small White Dots on a Black Background. Party of the Panda Party Collection by PhotoPlay Paper. Look for coordinating Collection Kit and other single sheet.